Though it started a bit slow and expectedly Vita-saturated, Sony’s E3 press conference went on to reveal over 100 games and show dozens of them. Oddly enough, a new IP—one of the most sought-after topics at every E3—managed to slip under the triple-A filter of most radars. 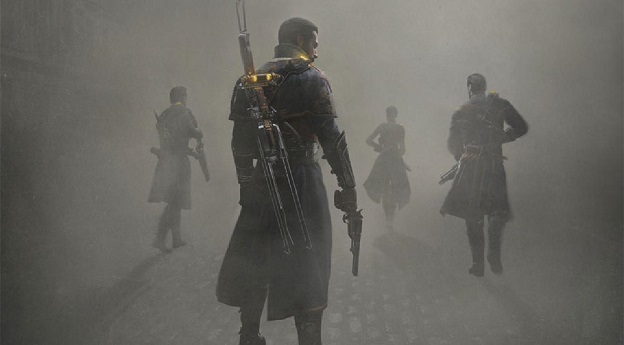 Santa Monica and Readyatdawn Studios showed an impressive trailer for their brand new next-gen shooter, The Order: 1866. The title is clearly in infancy as of now, but we were still able to learn a bit from its initial reveal. As the name implies, the game is set in the mid-to-late 19th century. However, things have apparently taken a turn for the steampunk and sci-fi in The Order, as we saw several characters brandishing lightning- and fire-charged weapons. Similarly, the ones on the receiving ends of these peculiar weapons weren't your typical 1800’s soldiers. If anything, I’d call them werewolves. Here’s hoping I’m right.